Lightweight, durable and practical, the Petzl Caritool is the ideal solution to racking extra gear to your climbing harness – particularly for ice climbing, multi-pitch climbing and mountaineering. The Petzl Caritool is great for carrying pitons, nuts, cams, ice screws and even ice tools, plus it features a flat-nose top, which means you can stack gear on top of it to access other gear when it’s fully loaded. It even has a small hole at the top for attaching keeper cords to, and can hold a total of 5kg worth of gear, all in one super-light 25g package. 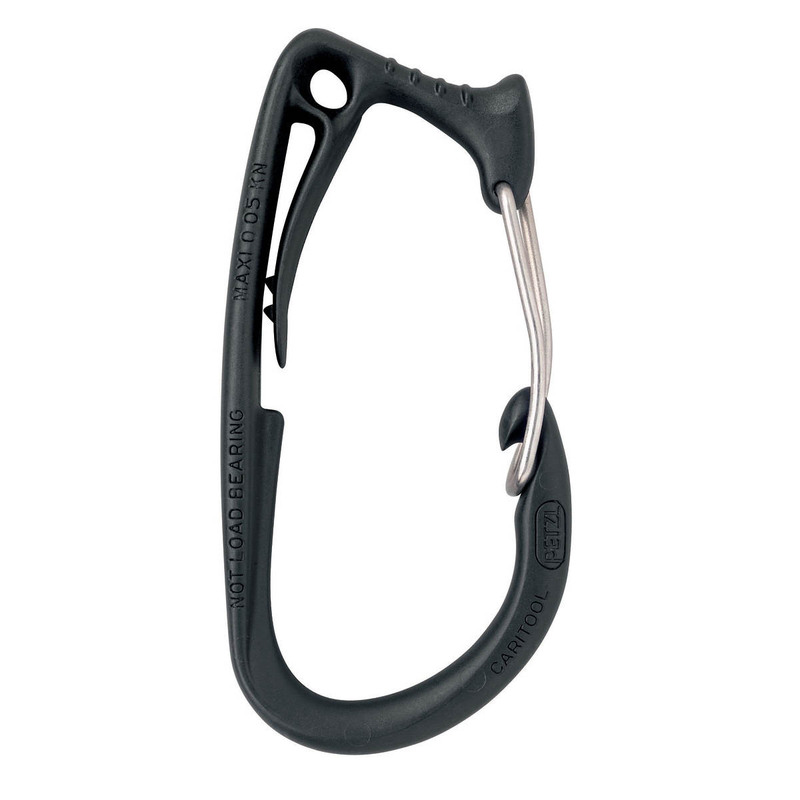 Please note: The Petzl Caritool is for carrying gear only and should not be used as a substitute for a standard carabiner. Good tool but minor drawbacks. I was recommended this tool and now own two along with the BD lookalike. while it does exactly what it says it will do, the only drawback I have noticed is that they are incredibly difficult to remove from ice clipper slots on my harness to climb sport. this is because the notch that keeps the tool in place is 90 degrees, while the BD tool notch angle is roughly 120degrees. I ended up filing the notches down to match the BD and for easy removal. Otherwise, they do well to hold 5 screws and not get in the way. Compared to BD, Camp, CT versions of "caritool" it is best made - quality of plastic, rigidity, gate opening.. I use it all the time as a hammer carrier and for ice screws in winter.